I have been on the hunt for a vibration I get once I hit 70mph front the front right hand side. I have checked wheel bearings, had the tyres balanced, replaced all the bushings that had deteriorated away, replaced the suspension shocks and coils and am running out of ideas. I am wondering about the ball joints, but not sure if there is a way of testing this first? If anyone has any tips I would be great full. 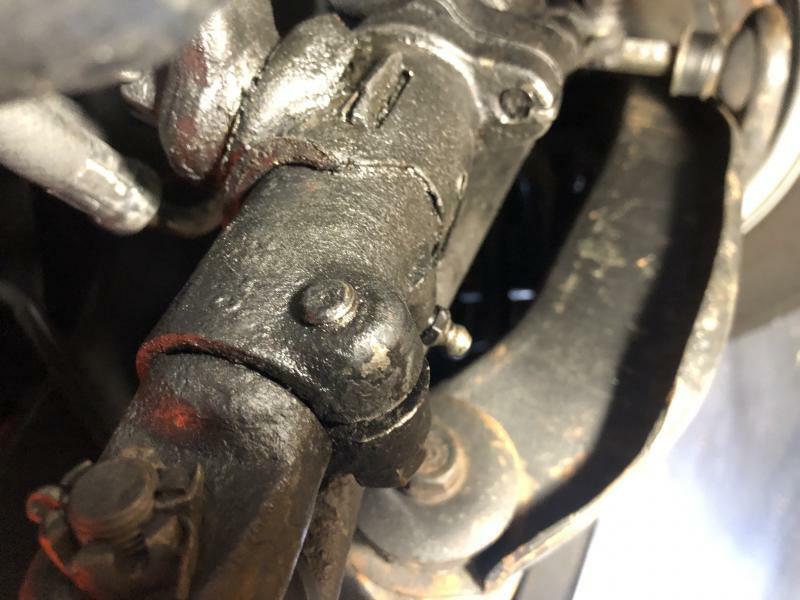 One item have noticed is what appears to be a missing or worn bush between the power steering control valve and the pitman arm. From the attached picture of mine, there appears to be nothing there. 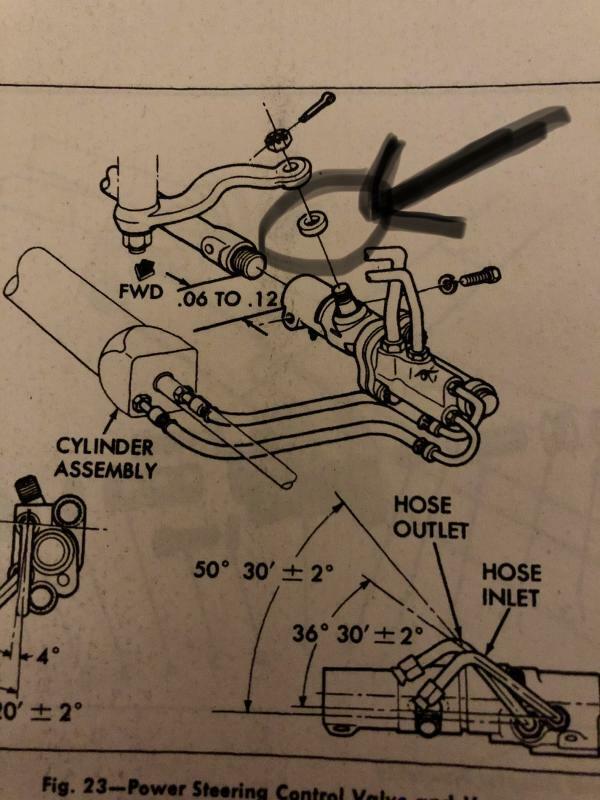 I have looked for the part from suppliers but can't find it. Shopuld mine be in better condition than shown? are you running drums? I ran mine for 35k mi and just put discs on. I noticed a difference...sway bar tight? the circled part is a seal - if it's not leaking, then it's ok. those need to be torqued precisely or it will leak. Edited by omarine on 04-15-19 05:53 AM. Reason for edit: No reason given.